Don't just use any sheath to hold your Green Beret knife from Chris Reeve Knives. This leather sheath made by Gfeller Casemakers in Idaho is custom molded to be the perfect fit for Reeve's popular 7-inch Green Beret blade -- identical to the knife carried by U.S. Army Special Forces members. Made in the U.S., this leather sheath uses high-quality brass grommets and it has extra thick leather that is treated to resist moisture. It features a single-snap belt loop for easy carry, and weighs just 4.7 ounces. 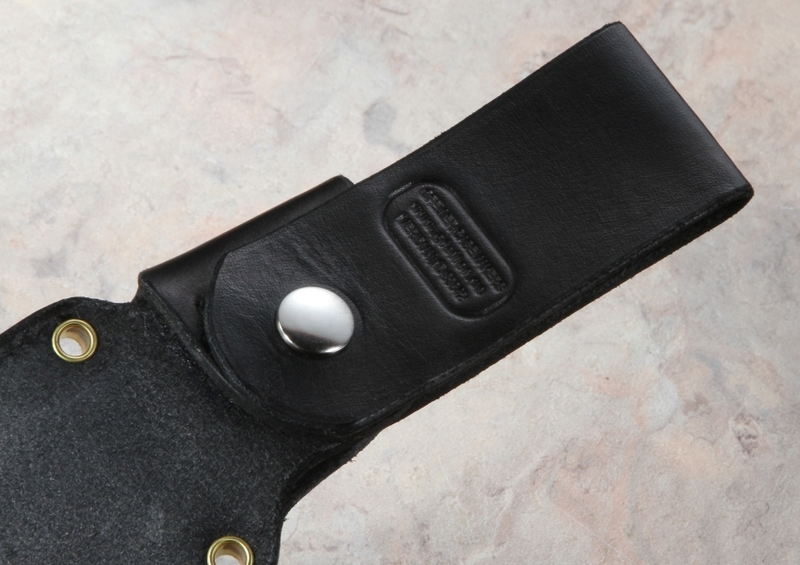 Carry your treasured Green Beret right with this classic black leather sheath. The knife is very handsome and well made. Due to its construction, however, I would not recommend it for field use. A snap top would make the sheath more secure as well as allowing the blade to be easier deployed. It is also not available in a left handed configuration. I am still satisfied with the sheath and use it to display my knife. I bought the leather sheath since the standard Green Beret military style sheath is a bit cumbersome for back country use (although it is a very functional item). 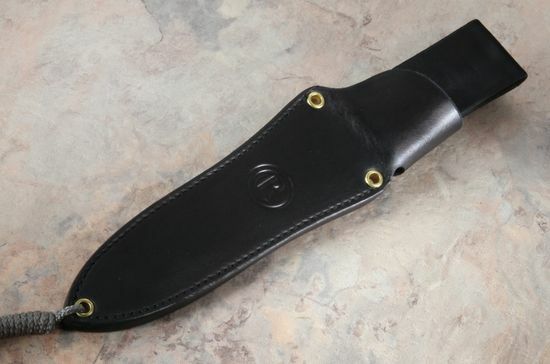 This sheath is very high quality and makes an excellent accessory to the Green Beret knife. Fit of the blade and tang into the sheath is perfect. Stitching, forming of the leather and overall quality are extremely good - perfect match for the quality of the Green Beret knife. The knife fits perfectly into the sheath and does not fall out; however it is still easy to draw the knife. The belt loop is large and should work with any normal belt. Again, an excellent accessory for the knife. I can see buying some of Gfeller's (the manufacturer of the sheath) other items based on how well this sheath is made.